Alum. 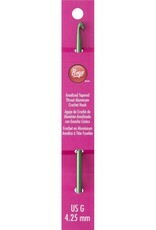 Boye Crochet Hook G - Woolly&Co. 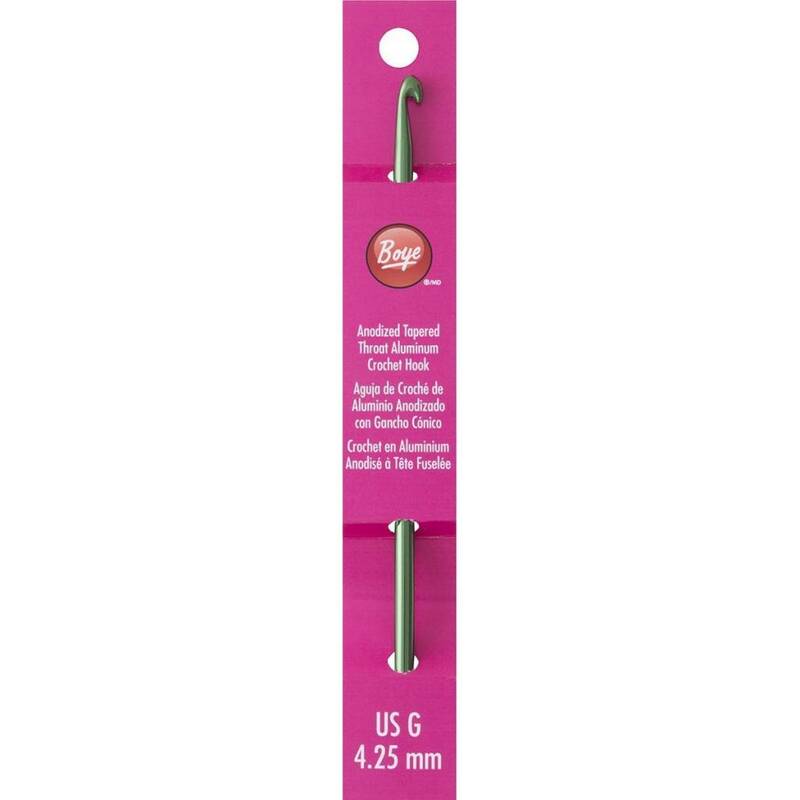 Boye crochet hooks, made of steel and aluminum, feature smooth throats, rounded heads to prevent fraying or splitting of threads, and built in thread leads for fast uniform crocheting.